Fire Note Says: Matt and Kim bring the energy and a renewed focus. 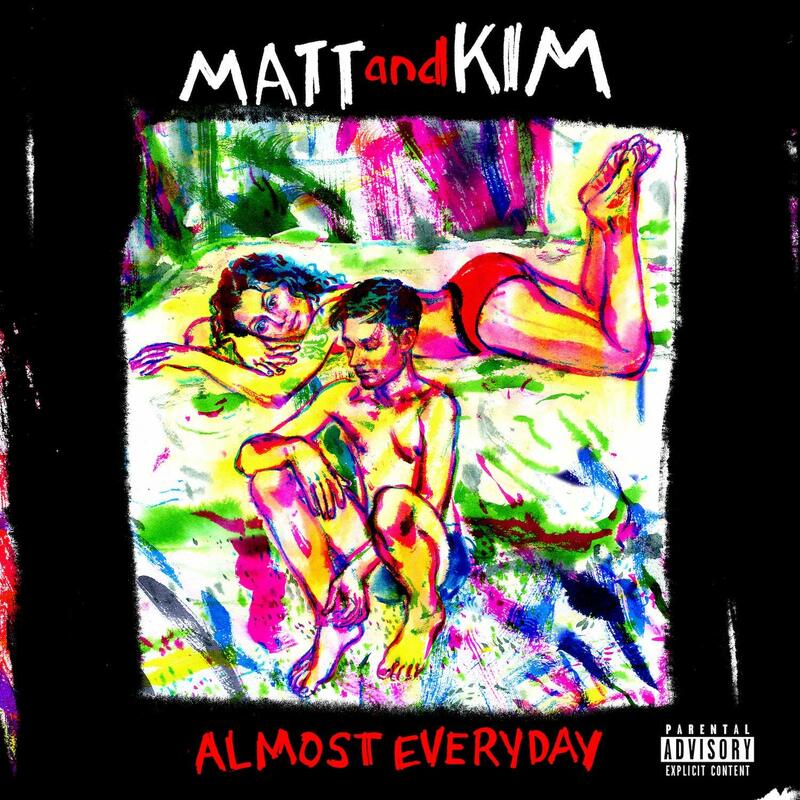 Album Review: Whether it’s dealing with the current political climate or wrestling with their own mortality, Matt and Kim have found a sense of urgency and focus on their latest album, Almost Everyday. The Brooklyn duo started their career with a bang and lost some of their luster with their later releases. Coasting may be too harsh a critique, but Matt and Kim didn’t expand much on their sound. It’s great to hear them pack a punch in the album’s 28 minutes that has some new sounds, and more important, some new friends. About those friends: you’ll find Mark Hoppus of Blink-182, Travis Hawley of Night Riots, Kevin Ray of Walk the Moon, plus Kevin Morby, Santigold, and King Tuff. And that’s not even the full list. Their presence isn’t distracting in any sense; each artist adds a distinct flavor that serves to augment Matt and Kim’s sound, rather than dominate. The flourishes are throughout and add to the fun. Lyrics revolve around death and unrest, and the duo decided to throw a huge party to deal with such weighty matters. Again, the urgency that pervades each song gives them a lasting impression. They’re loud, they’re fast, and they don’t overstay their welcome. It’s a perfect balance. With 10 tracks clocking in at under a half hour, it’s difficult to highlight any single because the album sounds like one song in 10 different movements. See below for recommendations, but really, give the full album a listen.